The Voice South Africa is back and we already have our favourites! The third season of The Voice SA is back after a year hiatus and I have to say that I have been waiting for it. The new season had been teased as a lovely, sprightly advert on DStv with a change in coaches and host: Lunga Radu has replaced SAFTA award-winner Anela Mdoda for the latter and joining Afro-soul singer Lira in the coaches’ red chair are rapper Riky Rick, rocker Francois van Coke and pop star Riana Nel. Opening with blind auditions, the first thing I noticed was that the coaches didn’t give feedback if they didn’t turn after a contestant was done performing. Previously, contestants who did not get a turn would still receive feedback from the coaches regardless and there were a couple of contestants this happened to. I enjoyed performances from Gruenen Parker, Keanu Harker, Petro de Villiers and the bespectacled Ross Charles. But it was Lelo Ramasimong that stole the night, singing Shawn Mendes’ Mercy that gave me goosebumps. Here’s Lelo singing with those glorious pipes below. Have mercy, girrrrlllllll. If you missed @LeloR101 on @VoiceSA tonight, you can check out her performance here. Lelo went into the arms of Coach Riana, deservedly. Lelo has so much star power that I can see her making it to the finals. 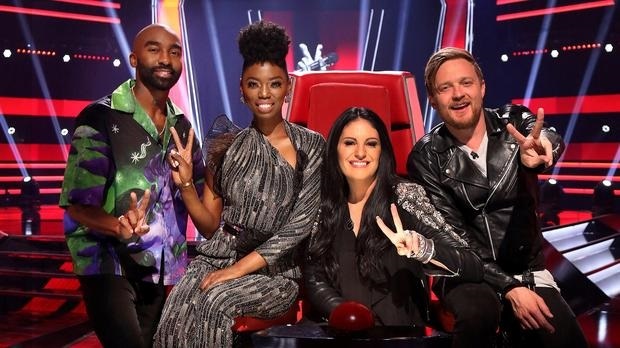 If you missed the premiere of The Voice SA, you can catch a rebroadcast on today at 20:00 on VUZU (DStv 116).